To be relevant in today’s digital market, you have to be able to juggle relevancy and providing valuable information to your customers. Understanding what your audience’s needs are and how you can meet them will aid you in providing the best service you can. However, beyond content and relevancy, one factor is more important than others – your ability to engage with your audience. Above all else, keeping users engaged will be the most valuable asset to your business. 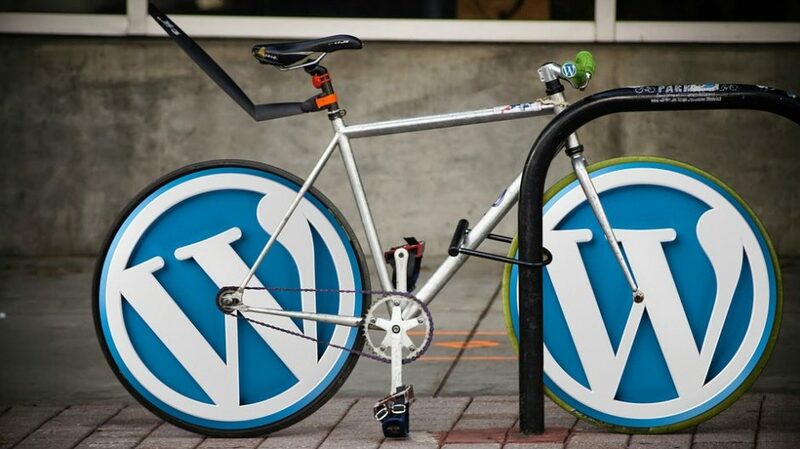 With this in mind, let’s look at some of the best WordPress plugins used to increase website engagement and retention. Disqus has become synonymous with seamless interaction. With over 200,000 WordPress downloads to date, this nifty blog comment system has become one of the most popular ways to boost overall website engagement. Visitors can join the conversation in mere seconds thanks to its flexible and user-friendly design. It currently supports login accessibility through Facebook, Twitter, and Google+, as well as a native registration method via username and email. One of the best ways to keep your readers engaged involves giving them more of what they want, and this is where Contextual Related Posts truly shines. This powerful, lightweight WordPress plugin displays a list of posts related to the one your visitors are currently reading, successfully incentivizing with additional interesting content. The plugin gathers a list based on your article’s title and content to improve overall relevancy, potentially helping you reduce bounce rates by retaining visitors for longer. It currently supports thumbnails, shortcode placement, widget display, custom post types and a variety of CSS styling options, to name a few notable features. To help ensure true engagement, you may also exclude certain posts from categories and show your visitors nothing short of what they crave. All in all, you must personally see Contextual Related Posts in action to fully comprehend how much engagement it can bring to your website. According to Ovum and Opinium research, 81 percent of customers simply want their questions answered. What better way to increase website engagement and loyalty than providing accessible and friendly customer service? CaptainForm is an advanced, yet easy-to-use form builder that ensures your readers can reach you in a variety in ways. For starters, its drag-and-drop editor grants full flexibility tailored to your website’s and users’ needs, enabling you to insert virtually any type of field to boost interaction among yourself and all visitors. The plugin’s 30+ templates, vast submissions reporting and password-protected data storage make it a must-have for websites that heavily manage customer interactions. It can also integrate with services such as PayPal and Stripe payments, MailChimp, Dropbox and GetResponse for maximum flexibility. The ability to understand your audience is crucial to increasing website engagement. Creative bloggers rely on the Responsive Poll plugin to boost interaction within published content and throughout their entire blog with long-term goals. You may also place a semi-permanent surveys as a widget and gather specific data over a long period, thus giving you greater insight about your users’ needs. Interestingly, asking the right questions can assist you in segmenting your audience and subsequently showing them more relevant information as a means to boost overall engagement. Computing & electronics giant Lenovo tried this tactic and saw a 30 percent increase in total click-thru rates, which ultimately led to higher company revenue. Boosting website engagement is primarily achieved by publishing fresh content and new ideas. Sadly, this often means that your blog’s older information – regardless of usefulness – is generally ignored once it comes off the front page. Revive Old Post addresses this problem by automatically posting both new and older content to your Twitter account, thus helping maintain a high level of engagement long after you had published any given article. You may also choose the exact time interval between shares, the number of posts to distribute, include #hashtags to leverage trending words and phrases, and exclude certain posts from publishing. Combined with a continued publishing strategy, this plugin is perfect to maximize your website’s overall engagement from various angles. Let’s face it; just about every type of blog needs an active newsletter, and this is where OptinMonster comes into play. This powerful list-building plugin provides an intuitive drag & drop builder that allows for easy form-building and attention-grabbing visual styles. On the backend, you can segment your users by the behavior they display throughout your site. For example, the plugin’s page-level targeting algorithm can display unique forms tailored to your reader’s geographical location and their overall actions. This, of course, allows for higher website engagement once you analyze exactly what makes your audience tick. Other features include timed popup forms, providing greater flexibility without disrupting your readers’ time (for instance, allowing them to first absorb your website’s content before asking them to opt in). It’s not uncommon for websites to host the occasional contest, typically granting niche-related giveaways to random users or to the most loyal fans. The act of giving is an old, tried-and-true formula that works simply because people enjoy receiving freebies. Why not take this to your advantage and increase website engagement in the process? This is where Contest Hopper comes in. This plugin is essentially a highly customizable form ideal for generating buzz. Used as a shortcode or widget, Contest Hopper lets you insert stylish headlines, eye-catching background colors and hundreds of beautiful fonts. You can also enter an entry deadline, list contest requirements and allow for flexible user input. Visitors can easily share your contest details on prominent social networks for increased interaction. These are arguably some of the best WordPress plugins to improve the way visitors interact on your website. What other plugins and tactics can you offer to help boost blog engagement? Be sure to leave a quick comment in the main Comments section below.